Talk in the local pub is of strange deaths of sheep and rumours of the return of the legendary Beast of Brynmawr. 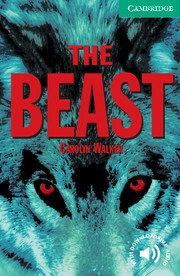 Susie and Charlie are taking a break from work in London and renting a cottage in Brynmawr, where events grow stranger and stranger until it becomes clear that it is Susie the beast wants.Paperback-only version. Also available with Audio CDs including complete text recordings from the book. Contains adult material which may not be suitable for younger readers.